There’s a list of du`as that can be recited in tashahhud. For your ease, I’m doing one du`a a post. I’m sure you all know this one by heart, and you should! 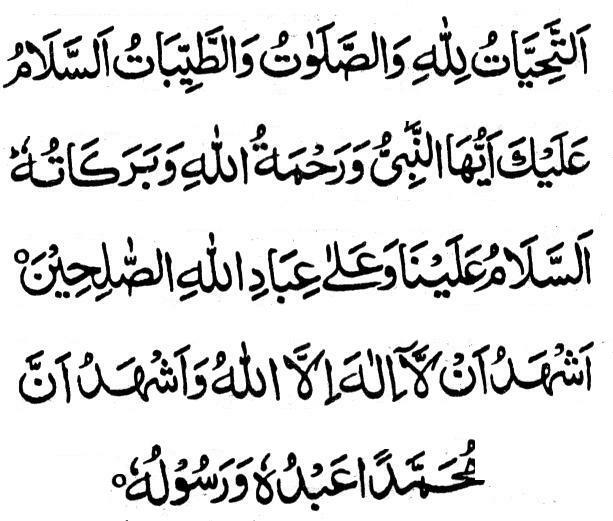 It’s mandatory to recite it in tashahhud. Posted on January 30, 2012, in iLook and tagged bukhari, characteristics, dua, hadith no 794, invocation, prayer, salah, tashahhud. Bookmark the permalink. 2 Comments. what is given above,ie. that we recite in tasahhud was the conversation between Almighty Allah swt and our beloved Prophet Muhammed (sal), right?